The EC accelerates the transition to electric fleets including light-, medium-, and heavy-duty vehicle electrification.Through programs like the Energy Secure Cities Coalition, led by the EC and City of Atlanta, the organization is working with cities to reduce US oil dependency through the electrification of municipal fleets. Fleets for the Future (F4F) is a national partnership of regional councils, the Electrification Coalition, Clean Cities coalitions, and other industry experts tasked with creating a national procurement initiative designed to consolidate bulk orders of alternative fuel vehicles and infrastructure. F4F will reduce incremental costs and disseminate best practices on application, usage, and procurement strategies for the selected vehicles and related infrastructure.The Electrification Coalition serves as the technical experts for fleet electrification on this project. 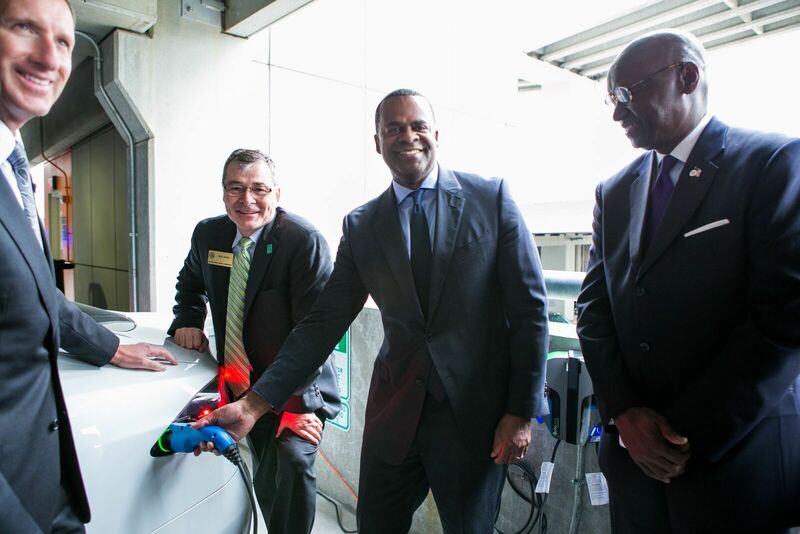 This provides a step by step guide for Atlanta to convert to not just electric vehicles, but other alternative fuels. A document showing which of 50 vehicles in the Department of Watershed were ideal candidates for electric vehicles. This is a lessons learned document from the Atlanta experience about the process of installing charging stations to support a municipal fleet. This guide is meant to help fleets understand the benefits of deploying electric vehicles (EVs), as well as EV-specific considerations involved in the procurement process. This document lays out the common strategies available for public and private fleets attempting to finance an investment in alternative fuel vehicles. A comprehensive analysis of the advantages, challenges, and policies necessary to spur electric drive technology in commercial and government vehicle fleet applications.